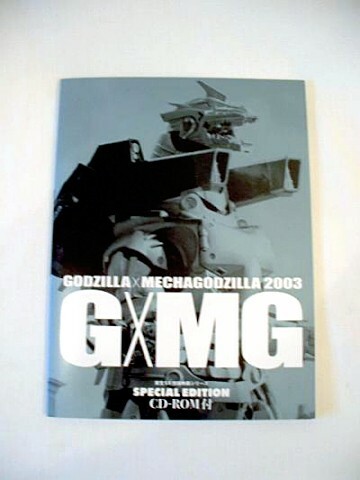 GODZILLA X MECHAGODZILLA 2003 CD ROM MOVIE PROGRAM BOOK! 48 pages of color and black & white photos of the making of the movie, with interviews of cast and staff (in Japanese of course). 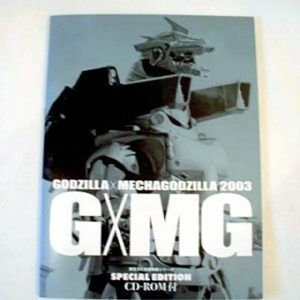 CD ROM has hundreds of outstanding colorful images of the film and information about the making of the film (in Japanese of course). This is a used book in excellent condition. Measures approx. 12 by 9 inches. HARD TO FIND!